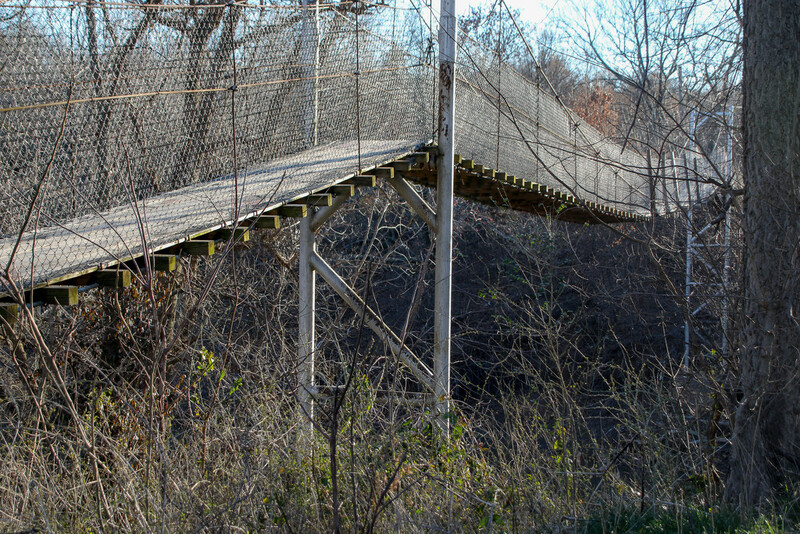 Another look at the Swinging Bridge. One person at a time. Do not swing bridge. Cross at your own risk.